Mortgage Closing Costs | Jim Marcinkowski - Inlanta Mortgage, Inc.
We are pleased to announce that Inlanta Mortgage has again been named a Top Workplace by theMilwaukee Journal Sentinel. 2016 marks the third consecutive year Inlanta has won the Top Workplace award. Top Workplace honors are awarded to companies whose employees have rated their companies highly in categories such as leadership, direction, ethics, culture, training and benefits. Top Workplace award winners do not know whether their employees have rated them favorably until a third-party, Workplace Dynamics, collects and reviews all results. 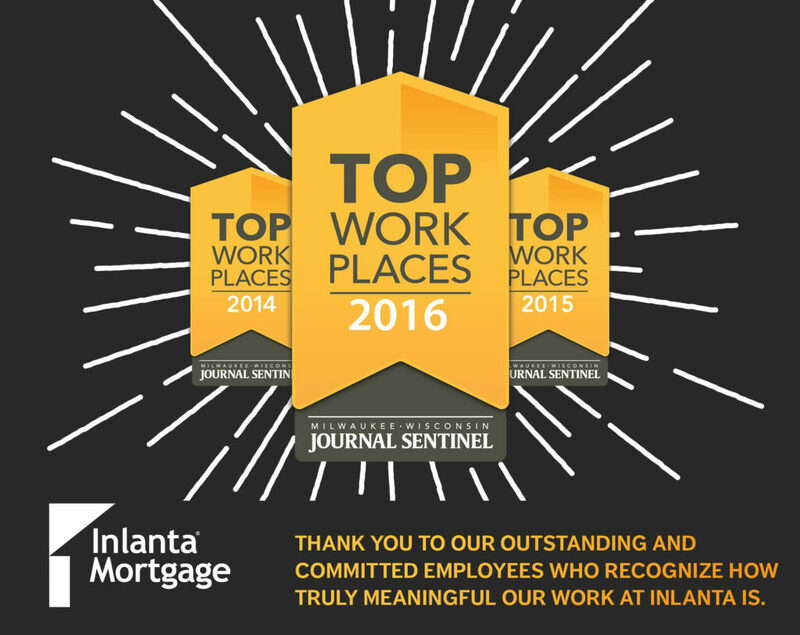 This is the third year that Inlanta Mortgage has received the Milwaukee Journal Sentinel’s prestigious Top Workplace award. In addition to being named a Top Workplace by the Milwaukee Journal Sentinel, Inlanta has been consistently recognized as one of the “50 Best Mortgage Companies to Work For” by Mortgage Executive Magazine and one of the country’s “Top Mortgage Employers” by National Mortgage Professional.